The Denver defense and Peyton Manning are getting all the glory for the Broncos 24-10 upset Super Bowl victory over Carolina, and that’s understandable! But hang on here for a minute; I think the scribes who have been wallowing in that rhetoric are missing the point. Like him or not, John Elway doesn’t get enough credit for Denver’s success. The 55 year old Hall of Fame quarterback put the team together piece by piece since taking over the front office in 2011. 21 of 22 starters arrived under Elway’s watch. Let’s be honest, Elway has had a much easier path than John Dorsey inherited with the Chiefs in 2013. Denver has won 5 straight AFC West titles under Elway. That’s a drastic improvement after the Broncos had won only 1 division crown in the previous 12 seasons. In KC, we have learned that the road to the playoffs must go through Denver. Of course, Manning has a lot to do with it. Again, credit Elway for signing him. Manning will go down as perhaps the best QB of all time. What he accomplished in the last 5 seasons in Denver is truly amazing but now it’s over. I tweeted after the game Sunday night that I felt better about the direction of the Chiefs than I have in many years. Really since Marty Schottenheimer left town. The fact Denver could win a Super Bowl with the aging and fragile Manning drives home the point that the league is still built around defense. If you want to win a Super Bowl, it had better start with pressure up front and on the edges. The Chiefs GM Dorsey appears to be committed to that philosophy. I think we’re all guilty, as fans, of over reacting to both strengths and weaknesses of our QB. A lot of us have wondered out loud “Is Alex Smith good enough to get the Chiefs to the big one?” I wasn’t sure. Now I feel better after watching Denver pull it off with less than 200 yards of offense. Amazing when you consider Manning missed nearly 50 days of the season. It hurt just watching him trying to throw the ball more than 20 yards in the air. He finished with a QB rating of 56.6 and won a Super Bowl without throwing a touchdown pass. I don’t know about you but the Chiefs have enough offense to win this division. It’s not great but it’s more than adequate. Smith will seldom turn it over. The Chiefs are lagging behind Denver on the other side of the ball but the gap is not as great as it would appear. Carolina, the highest scoring team in the league was held to only 10 points. Let’s remember, the Chiefs scored 29 on the Broncos; the most points Denver gave up in any game all season. The Chiefs biggest concern is getting some of their key free agents signed in the off season. Most of them fall on the defensive side of the ball. 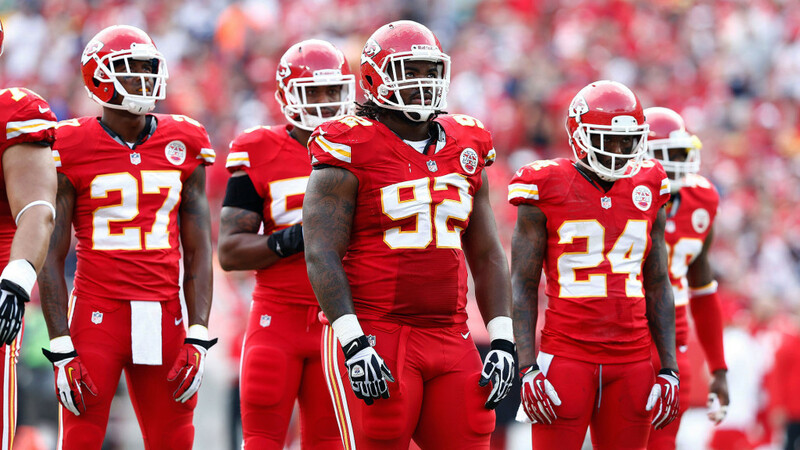 It’s a must to resign Jaye Howard, Derrick Johnson and Eric Berry. The Chiefs have a nucleus to break through and win a division title for the first time in 6 years and then to make some noise in the postseason. Anything less than playing for a conference championship would not be good. The Chiefs are due to win something BIG! The golden triad of a Super Bowl champion: 1.) Shutdown defense 2.) Inspiring coach 3.) Team quarterback who will win, not lose any game. KC has the pieces in place. Upgrade the defense this offseason and we’ll have a shot.